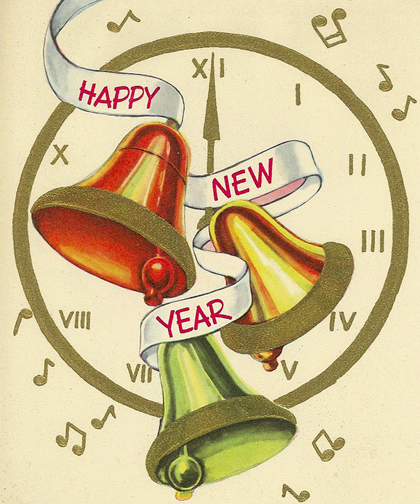 10, 9, 8, 7, 6, 5, 4, 3, 2, 1 … Happy New Year! Well, it’s New Year’s Eve Eve. Just two more days, and we’ll all be cursing ourselves for writing 2011 on our checks. With just a few hours remaining till the ball drops in Times Square, toasts are raised, and midnight smooches are shared, we thought we’d make a present to the Cladrite community of All Star New Years Dancing Party, an hour-long radio program that originally aired on the Armed Forces Radio Service on December 31st, 1945. The program, which is hosted by Harry James, features performances from across the country and around the world by such legendary big bands as the Count Basie Orchestra in New York City, Freddy Martin‘s outfit performing from Los Angeles’ Cocoanut Grove night club, Woody Herman and His Orchestra in New Jersey, Louis Armstrong and His All-Stars from Club Zanzibar in Manhattan, and many more. It’s a fine way to welcome in a brand new year. Doris Day is arguably as big a star as we’ve ever seen. Not many think of her that way today, we suspect, but consider this: She conquered all the major fields in the entertainment industry. She had a slew of hits as a singer, first with Les Brown and his orchestra and later as a very popular solo performer. She is the top female box office star of all time. And she went on to be very successful in television, as well, starring in a sitcom, The Doris Day Show, which ran five years on CBS (and could have gone longer, had Day not pulled the plug). 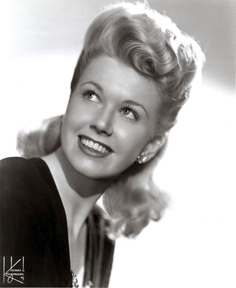 Heck, she even became a published author, penning a well-received autobiography, Doris Day: Her Own Story, in collaboration with A. E. Hotchner. Thereafter, she moved out of the public eye to focus on charitable work on behalf of animal welfare. In 1985, she became part-owner of the Cypress Inn in Carmel, California. Day was honored by the Golden Globes with their Cecil B. DeMille Award for lifetime achievement in 1989. She was also awarded, in 2004, the Presidential Medal of Freedom. She was offered the chance to be a recipient of the Kennedy Center Honors, but declined (she seems to have issues with travel, which may be the reason she opted out). And in 2008, Day was awarded a Grammy for Lifetime Achievement in Music. Day, now 88, recently took part in a wide-ranging hour-long interview with WNYC‘s Jonathan Schwartz, which we’re sharing with you below. There aren’t many stars left of Day’s generation who can share tales of show business in the 1940s and ’50s, so sit back, relax, and enjoy her reminiscences.